La Verne (California), March 19, 2019. 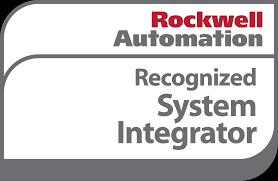 VaCom Technologies, the leader in industrial refrigeration controls analysis, systems and monitoring, has become an officially recognized system integrator for Rockwell Automation. This announcement comes in accordance with years of VaCom’s extensive experience applying Rockwell equipment in hundreds of food & beverage and cold storage facilities throughout the United States for more than 15 years. Find VaCom in Rockwell’s list of system integrators on their website here. VaCom Technologies focuses on refrigeration controls solutions and is headquartered in the USA. The company is the leader in controls integration, providing analysis, controls and monitoring solutions for the most energy-efficient and cost-effective refrigeration technology management in the industry. More information: www.vacomtech.com.